Brenda Wineapple is the author of numerous books, most recently, Ecstatic Nation: Confidence, Crisis, and Compromise, which Judith Thurman in TheNewYorker.com wrote is "a rich, beautifully told chronicle of American politics and society between 1848 and 1877." 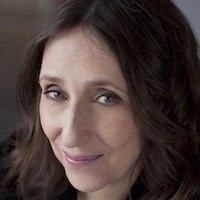 Her last book, White Heat: The Friendship of Emily Dickinson and Thomas Wentworth Higginson, was a finalist for the National Book Critics Circle Award and also a New York Times Notable Book as well as chosen best biography of 2008 by The Literary Supplement, The Economist, and The Washington Post. Elected in 2012 to the American Academy of Arts and Sciences, she has received a 2009 Pushcart Prize, a Guggenheim fellowship, a fellowship from the American Council of Learned Societies, and two National Endowment Fellowships in the Humanities. She's a frequent contributor to such publications The New York Times Book Review and The Nation. Moderated by Honor Moore, faculty, School of Writing.